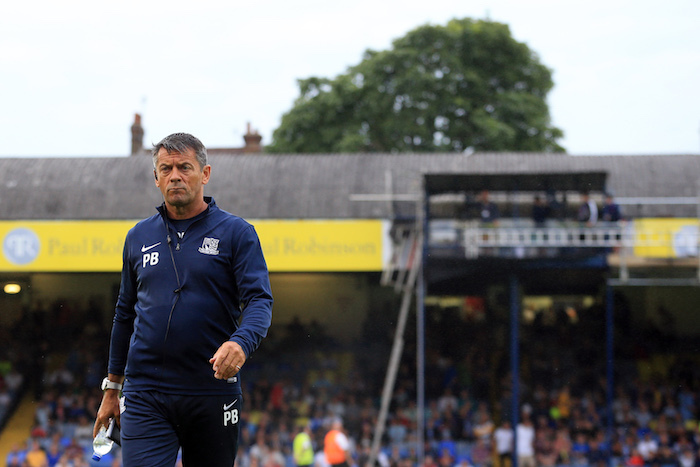 26 July 2016 - Pre-Season Friendly - Southend United v Newcastle United - Phil Brown manager of Southend United strides across the Roots Hall pitch - Photo: Marc Atkins / Offside. 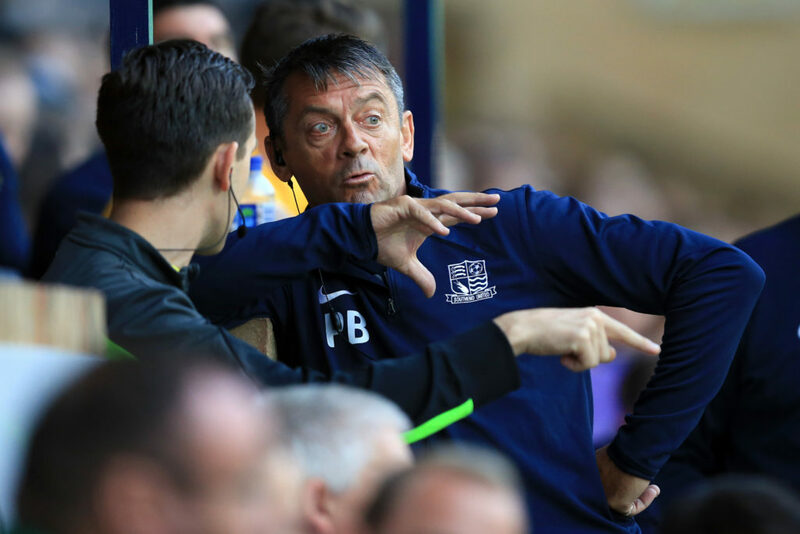 Phil Brown settles into a chair at Southend United’s training ground. The place is a hive of activity as the players and coaches prepare to go down to Roots Hall for their morning session, the training pitches frozen by the January cold snap. Having overseen a run of just one defeat from their last 15 league games, Brown cuts a relaxed figure, joking with local journalists ahead of the weekend fixture. But League One is not where Brown wants to be. He wants to return to the Premier League. The former Hull City manager has been at Southend since March 2013 and is the eighth longest-serving manager in the Football League. He is often still defined by his time at Hull City, in particular the half-time team talk he administered on the pitch against Manchester City in December 2008. With his team trailing 4-0, it was supposed to be an attempt at motivation. Instead, it was widely derided as a stunt that proved a string of poor results were getting to him. That Brown is remembered best for that ten minutes in Manchester is wholly unfair considering his achievements at Hull. 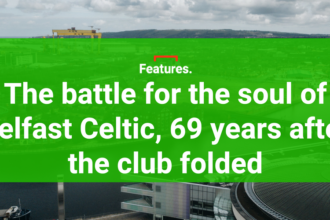 He led the club from near-relegation from the Championship in 2007 to the Premier League the following year, and kept them in the top flight that first season. Poor results blighted the start of the following campaign and Brown was sacked in March 2010. But despite Hull’s relegation at the end of that season, Brown doesn’t feel he is to blame. “I left the football club in the Premier League,” he tells The Set Pieces. “I didn’t leave them in the Championship so it did end up the right way. After racking up 652 games in a lengthy playing career, Brown worked as Sam Allardyce’s assistant at both Blackpool and Bolton before moving into management – firstly and unsuccessfully at Derby and then with Hull. His time at Bolton and the perceived long-ball style under Allardyce – a view Brown disputes – casts the Southend boss as an old-fashioned English manager, perhaps lacking in tactical and attacking imagination. But the 57-year-old disagrees. “I’ve never changed as a manager, I’ll always remain the same. I want to be entertaining because we are in the entertainment business,” he says. “My philosophy is quite simple, you’ve got to make the game as difficult as possible for the opposition when they’ve got the ball and you’ve got to make the game entertaining when you’ve got the ball. That extends to more than just tactics. Brown wants to improve the mindset at Southend, to get the players and staff thinking like Premier League players. The training ground has been overhauled to make it a more professional environment, the players’ recovery after games is now individually tailored, they have a Head of Sports Medicine, and the squad wear GPS devices in training so their individual needs can be analysed. At this level, it is a significant commitment. Brown has received plenty of support at Southend to implement his philosophy. Chairman Ron Martin has stuck by his manager through some difficult times, notably at the start of this season when the team picked up just 12 points from their first 12 matches. At other clubs, Brown might have been shown the door. 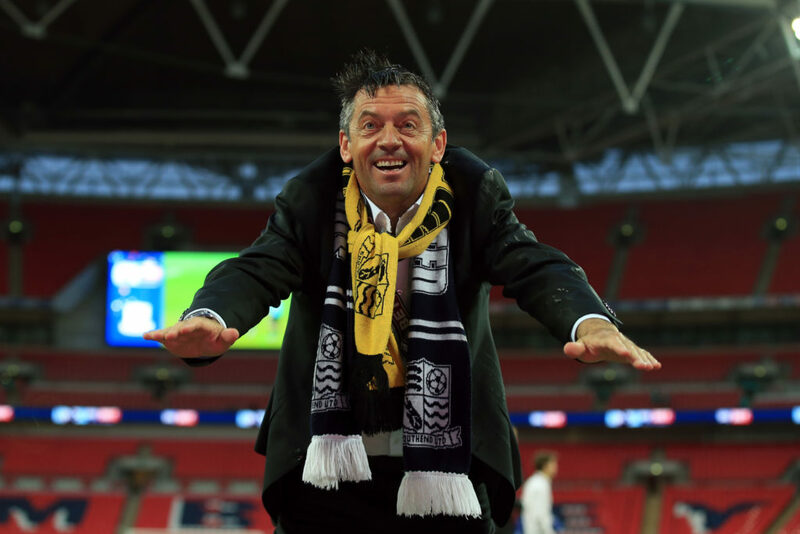 But Martin is pragmatic, he knows that Southend are lucky to have a manager with top-level experience. When Brown replaced Paul Sturrock in 2013, Southend were in League Two. He quickly made an impact with promotion to League One achieved in his second full season followed by a year of the team consolidating their place at a higher level. Now, after the slow start to the current campaign, Southend look set to challenge for the play-offs. Off the field, the club is in better shape too after recent difficulties with the tax man and threats of administration. 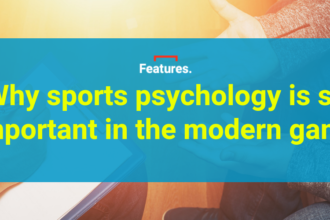 As Sir Alex Ferguson proved at Manchester United, the ability to recognise a team on the wane and continue reinventing is a must for any manager hoping for longevity. It is something Brown had to do last summer. As well as bringing in the likes of Anton Ferdinand and Republic of Ireland striker Simon Cox, other members of the squad, such as centre-back Adam Thompson and goalkeeper Ted Smith, have improved markedly, continuing Brown’s good record of developing talent whilst at the club. Southend received £1.7 million in transfer fees for Dan Bentley and Jack Payne over the summer and young midfielder Jack Bridge is currently training with Bournemouth. “I could quite easily say that I try to improve players by spending a lot of time with them on the training ground but it’s not just that,” says Brown. As for the future, Brown is clear that he wants to get back to the Premier League. But for now, Southend remains his focus. “My ambition as a manager gets stronger and harder because I want to get back to where I was, to manage at the highest level. All pics courtesy of the Well Offside photo agency.